"Suburban life. So much is the same, week after week. Who hasn't had the impulse to put their life on hold for a moment?" 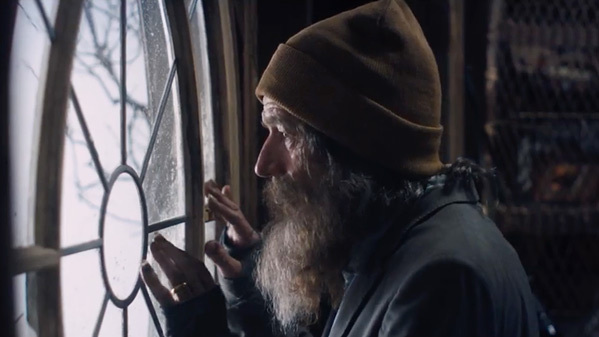 IFC Films has unveiled a trailer for an indie drama titled Wakefield, from writer/director Robin Swicord. This first premiered at the Telluride and Toronto Film Festivals last fall, to fairly mediocre reviews unfortunately. Bryan Cranston stars as a New York City lawyer living in the suburbs who has a nervous breakdown and decides to leave his family and hide out in his attic. The full cast includes Jennifer Garner, Beverly D'Angelo, Jason O'Mara, Ian Anthony Dale, Pippa Bennett-Warner, and Ellery Sprayberry. I like this trailer. It plays like a short film, but I'm not sure how much else there is to this film. Howard Wakefield, a New York City lawyer, hides out in the attic of his home for weeks, coming out in the daytime when his family is gone to shower and eat. His withdrawal leads him to examine his life, and he rationalizes that he has not abandoned his family because he is still in the house. When a former boyfriend re-enters his wife's life, he realizes that he may not be able to return to the life he has left. Wakefield is written and directed by American filmmaker/screenwriter Robin Swicord, who made her feature debut with the film The Jane Austen Book Club. This first premiered at the Telluride and Toronto Film Festivals last fall. IFC Films will open Wakefield in select theaters starting May 19th this summer. Anyone curious?